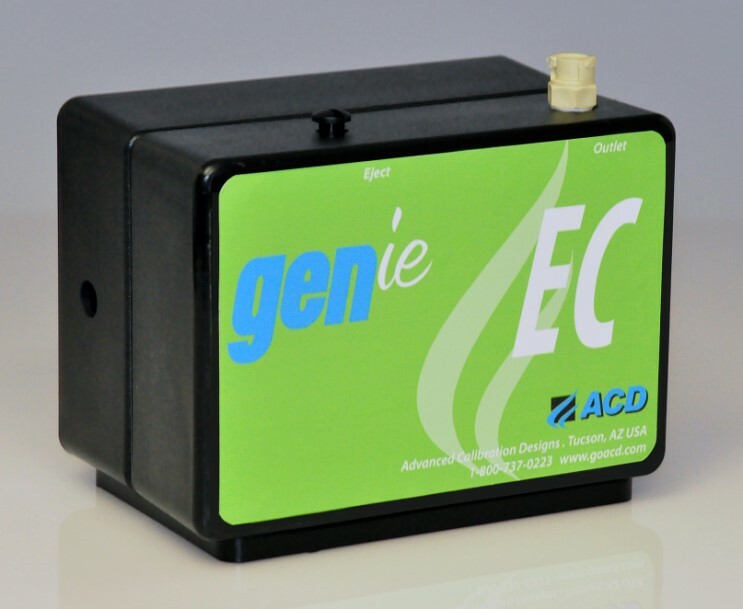 Envirosafe Ireland supply the GENie EC Calibration Gas Instrument (750-0200-01). Gases supported: H2, Cl2, ClO2, H2S, HCN. This instrument has been specifically tailored to fit the high PPM range of hydrogen detectors. The GENie EC output can be adjusted down in order to accommodate the calibration of the low level leak checking instrumentation currently on the market.